The complete first season of Marvel's international sensation between two covers! 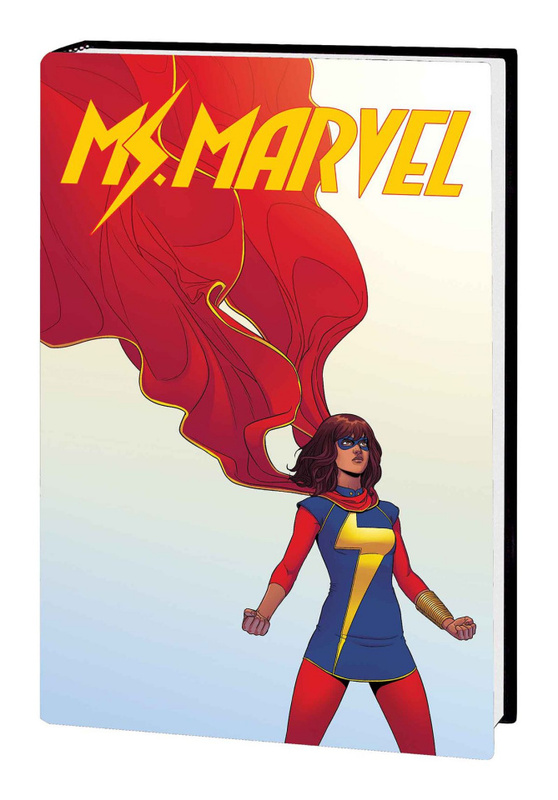 Kamala Khan is an ordinary girl from Jersey City - until she suddenly gains extraordinary gifts. But who is she now? Teenager? Muslim? Inhuman? As Kamala explores her newfound powers in the guise of the new Ms. Marvel, she takes on the maniacal Inventor; teams up with Wolverine and Spider-Man; meets the Inhuman royal family and adopts their teleporting dog, Lockjaw; faces the mischief of Loki; and finally gets to hang out with her idol, Captain Marvel! All while facing the regular girl problems of family, first love and...the end of the world? If Kamala Khan isn't your favorite hero yet, read this and she will be! Collecting MS. MARVEL (2014) #1-19, S.H.I.E.L.D. (2014) #2, and material from ALL-NEW MARVEL NOW! POINT ONE #1 and AMAZING SPIDER-MAN (2014) #7-8.